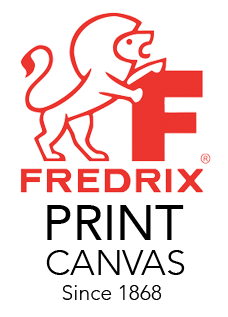 Fredrix® is the premier manufacturer of fine quality canvas products in the world. With more than 150 years of experience, we manufacture a complete range of canvases for printing and painting. Fredrix® archival print canvas features the same superior quality that is found with our renowned Fredrix® artist canvas. It is imperative to know how to make a superior artist canvas in order to make a superior printable canvas. 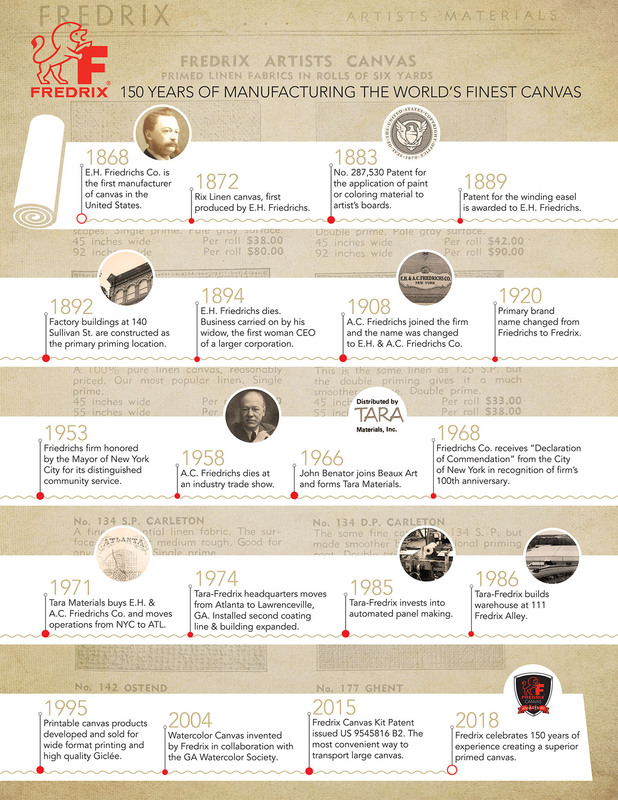 Uncoated textiles are sourced from fine mills in the United States and woven to Fredrix stringent specifications. This includes an acid-free buffered sizing to protect the canvas fibers from direct contact with the final priming. Each canvas is then primed in the USA with a Fredrix acrylic titanium formula and receives a specially formulated coating for ink receptivity. This standard of high quality offers prints and fine art reproductions that are stunning, color accurate, wide in color gamut and guaranteed in their consistency from roll to roll.